Time has pulled me into the hourglass and I have become each grain of sand that falls through the tiniest hole, landing upon each other, stacking experience after experience....and there comes a time when the hourglass needs to be flipped, so the script may continue to tell its story. ALL THE FEELS. PULSING THROUGH. In this space, between resting upon the ground I have built over the past 7 years, which has held multiple shakes, spins, and shatters of the wheel, especially over the past 5 months, I am feeling almost lost in my direction of chosen action. The hourglass is neither on the ground, nor at the apex of nearing its landing pad. The morsels are floating amongst the edges of space in the glass, waiting.....waiting.....what am I waiting for? Where is my presence of NOW? At times, I observe the internal dialogue of the ravaging critic developing a story based upon suffering and then I realize all the amazing things occurring in my life, which quickly dispels the wicked thoughts of self-doubt. This Fuels Empowerment as I step into deeper reflection. Reflection of the passing moment....and reflection of the past 11 months. ^^ I wrote this on September 12th, 2017 and then put it down & I suppose I did not return to it....until now. I'll continue as I agree with all of my words above, they still ring true. However- THE SAND MORSELS HAVE LANDED AND THEY ARE BUILDING. First....some background context to catch us up to speed of What The Heck is Going on! October 28th, 2016 (one year anniversary of the last day I saw Matt Lackey Approaches)- is the day I set out on a 6-month travel trip across Asia, which taught me the Language of The Universe. I began to learn how to read Omens from the surrounding response that is the Waking Universe. These 6-months changed my life and set the stage for the coming years. I returned home early to the death of our tribe's best friend, which you may know about if you are reading this post. Three months were spent in Boulder, Colorado where I willingly spiraled into a dark place of grief, depression, and sadness. Underneath all of these beautiful emotions, I found an infinite wellspring of Divine Pure Love & Light, transformed by the hearts of our LOVEtriBE in Colorado. Matt Lackey is always in the heart of our hearts, in the shine of the sun, the wandering hoofs of the mountain goat, & in the breath of the wind. He is Alive. July was powerful. Yoga & building my superfood business filled me up while connecting with Romney on the mana-steeped island of Maui. August came quick which took me to Dallas, Texas, where I learned the business model that this superfood company is based off of. Meeting the owners & my team provided me with a sense of comradery that I hold in every other aspect of my life, which resonated with me on a deep level! While there, I was gifted with so much knowledge about clinical studies of these superfood products and the level of integrity the company has! This has given me a powerful belief in what I have to share and offer the world as a true healing modality that is paired with yoga. I keep going from one location to the next, with all the excitement to SOAK UP HEALING! After Texas, I came back to my beloved Boulder for 6 days. During these 6 days I was moving QUICK! Packing up for a 3.5 week journey on the road with the best friends of my life, to honor ourselves and our fallen brother, Matt Lackey. Romney returned to prepare herself as well and we spent an amazing 3 days with each other while putting our lives into our vehicles! 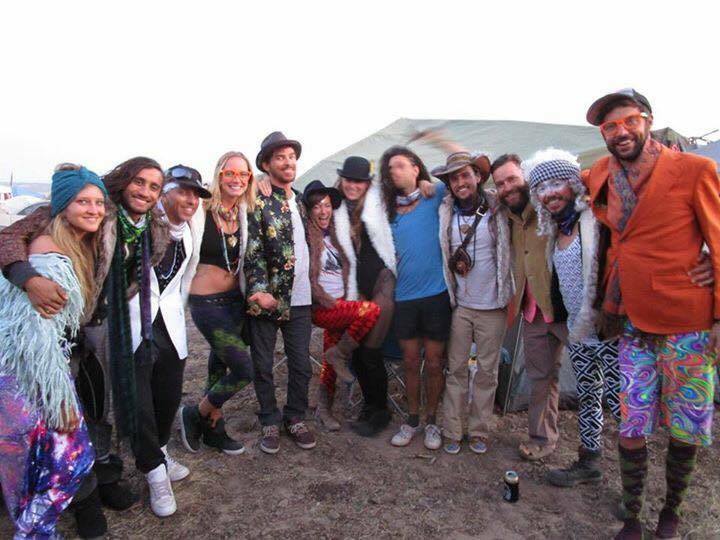 We took off for Eclipse festival in Oregon and Burning Man with Brother Joey & Kiefer. Awaiting to align with the Tribe! 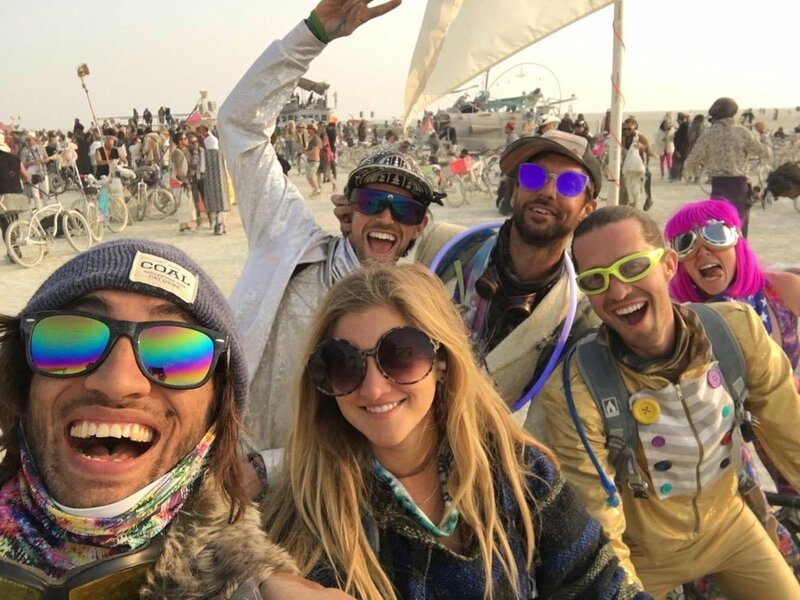 After Eclipse, Burning Man Happened. It's burning man out there, man!!! I am in awe of a place where 70,000 come to truly BE. A desert Art-filled wonderland created for the sole enjoyment of people by people! My Crew was Romney, Joey, Karl, Sonja, Gaia, and Eric. 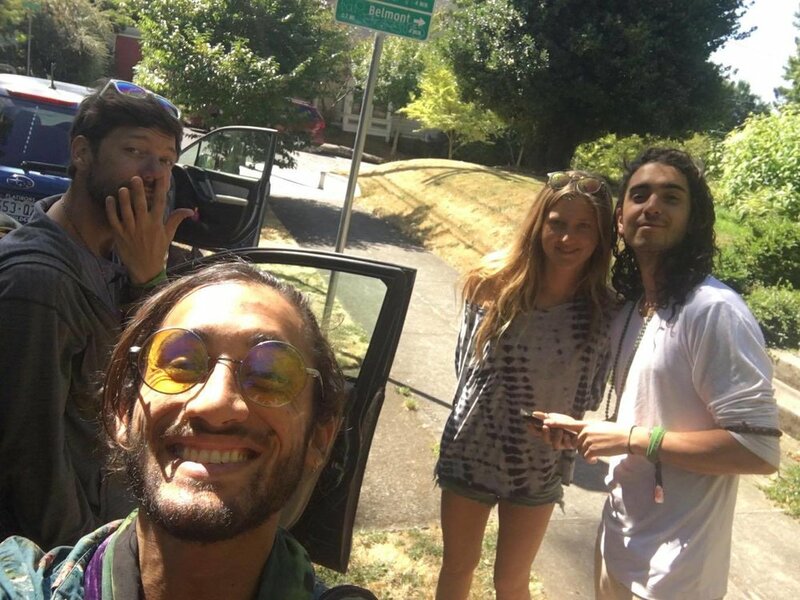 It was so beautiful have a tight triBE of 3 best friends & strengthen another, while meeting two new beautiful people. Each night was filled with Lessons, Adventures, and massive Self-Reflection. Honoring Matt Lackey in the temple was my primary intention to go & we did just this. I'll share one experience. Sitting at the temple, We peered into the sky and observed a beautiful tapestry of color beginning to rise. The Sun was on the way and the Earth was spinning ~ Fast. 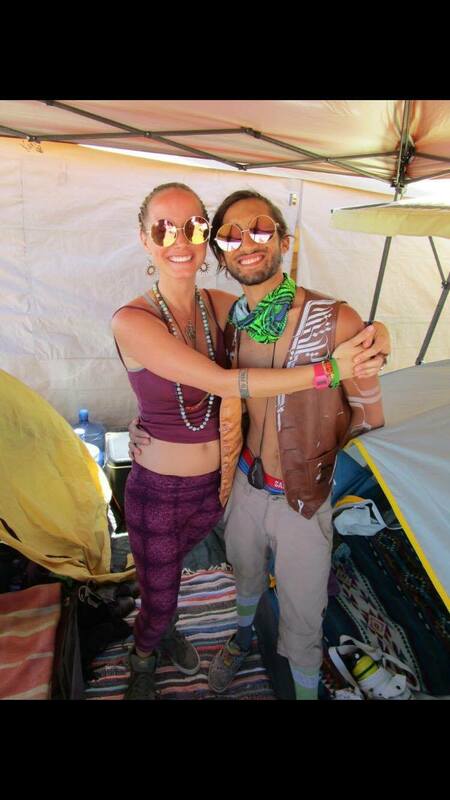 Tears had fallen into the dust of the playa, in reflection and memory of Matt Lackey. I held Romney as she held me, sharing stories in our teary-eyed laughter. As we turned around to take in our surroundings, I said, "I miss him so much. I love him so much. I feel him out there." We looked up at the sky at the same time and simultaneously saw a Blue-Green-White-Yellow streak of light PIERCE a quarter of our peripherals in the sky! I thought it was a lazer or a plane, only to realize it was Matt Lackey coming to us as an omen in the shape of an Asteroid. We were both in awe of the magic that the Playa Provides. Love you matt lackey! Burning man is a place of true beauty. It is unlike any place in the entire world. You should probably go. If you don't like the dust, you probably shouldn't go. It's quite dusty. Go once and you can integrate burning man into your daily life! 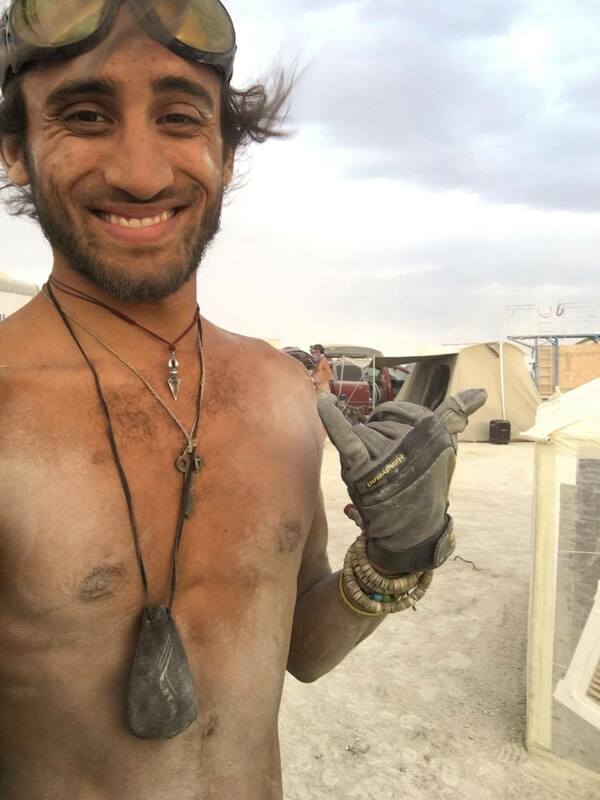 this is really fun :) I won't spend time convincing anyone to go to burning man, I'll see you there, Or I won't. I love you! After the burn, I returned to Boulder for 4 days. Cleaned up and de-playa-fied my life. Said goodbye to Romney in the physical sense of being next to her, said goodbye to most of my tribe & went to Kentucky to bid my blood family farewell. I then came back to boulder for 24 hours so I could gather my closest brothers and sisters one more time.I am SO Grateful to the Jarboes for always hosting me at their home when I leave for a really long time!! I sat on the compliment blanket and received admiration, adoration, courage, and divine support from my brothers and sisters for this E P I C journey I am swimming in now. I sit in a tea shop on Brick Lane, in Eastern London on a busy Sunday where the Market is bustling amongst the cobblestone footing. I am living with a lovely supportive Atheist Sikh man who is quite well at communication; I'm grateful and happy for this! A blessed Flat located at #9, 1 Kings Arms Cross found me through a lovely sister, Libby! THANKS OLIVIA! At this point, I have been in the UK for 9 days. During this time I have made 3 friends, visited the Beaches of Normandy in France with my parents (where DOOMSDAY occurred, so powerful. 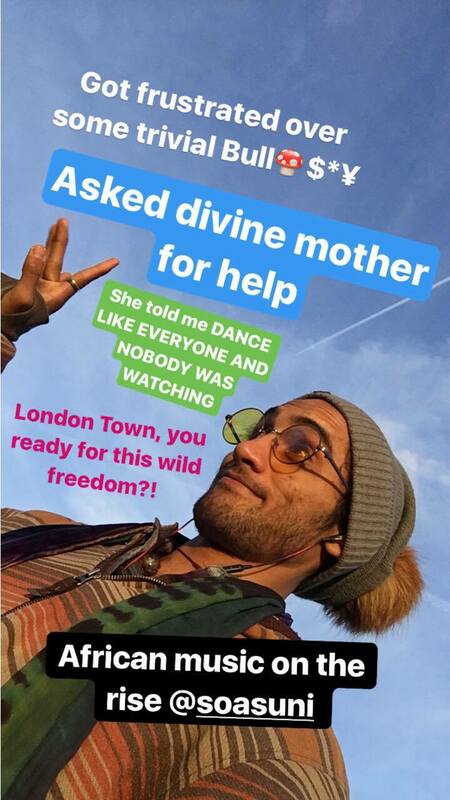 Crazy- Different time, same place), ate amazing food, explored two exciting parts of London named Camden Market and Brick Lane, dropped into the portal that is StoneHenge, learned how to use the tube system, Start a 10-day health reset transformation to ground myself for school, and set my Sacred space! Tomorrow Is day ONE at SOAS University! School of Oriental, Asian, and African Studies! Welcome week begins and I am excited to step foot onto campus and redirect lots of energy that has been stirred up within me over the past week. There has been a great freedom in wandering around in a city where I know Nobody and Nobody Knows Me. I feel... more free than I have felt before, despite missing my tribe. There is a deep curiosity within me, to know myself more than what I feel. I am on this journey here in London, focusing on myself, Dating myself, Loving my life & looking deep within as I reflect; in order to grow and expand consciousness. Each Day and Night I have consciously been setting Shields of Light into my Body & My Room, protecting me from the darker energies, that do indeed lurk around the streets here. I have gone through the fluctuations of extreme intensity over the past few days as I allow the residue of travel to begin to Settle - allowing Clarity of Purpose to Re:Reveal itself into my awareness... and it is now starting to arrive. My mission is remembering itself. I am nuzzling up into my seat~ accessing the hard-drive intell from my soul. I am embarking on a Journey into the new year(L'Shana Tova!) and it begins NOW! I have been broken and broken open, ready to navigate the inner workings of the inventive mind through the Color-infused lens that is Yoga. While here, I am manifesting and magnetizing myself into a triBE is searching for me, just as I am searching for them, Open and willing to receive the positive reflection of growth. I am calling in a Yoga studio where I can Teach yoga at! I have taught for 6 years and come this October, it will be a solid year without a consistent teaching schedule and I am ready to drop back into offering public classes, within the style of what I am practicing. We must always: Practice what we teach, teach what we practice! I am blessed to share this with you! Thank you for reading if you made it this far. I appreciate you and value what you are doing in your life! Truly, I'd love to connect with you and hear more. Start a conversation, especially if we don't talk too often, and most definitely if I don't know you! I'd like to know you! For now, I am going to have a shake as I complete day 2 of this 10-day Health Transformation with these superfoods. Stoked on putting positive nutrition in my body after exploring the desert with my tribe for a month and eating the delicacies found in France :) This Friday I will see ODESZA in London, next month see NICOLAS JAAR in Paris, and early November get blessed up by OH WONDER in london. Life is so freaking blessed and I'm grateful to be ALIVE! If you're in the area, feel free to connect as I'd love to share a cup of tea and talk about the universe and how amazing life is with you. I love you. I bow to you. triBE STRONG! GET NEKED!!!! YAAAHS QUEENS, KINGS, AND MATT LACKEY! !